It’s unclear what HP plans to do with webOS going forward– license or sell the OS to other phone manufacturers, open source it, or just kill it completely. But by announcing the move this way, HP has pretty much guaranteed that developers and enthusiasts alike will begin to abandon the platform. These moves are part of CEO Leo Apothekar’s plan to move HP towards an IBM-like model– going from low-margin personal computers and devices into high-margin enterprise software and services. The also confirmed that HP is acquiring Autonomy Corporation plc, another B2B software vendor, for $11.7 billion. Ultimately, these moves make sense given Apothekar’s past as the head of SAP, a German enterprise software giant– he’s clearly much more comfortable selling software licenses to large companies than competing with the likes of Apple in the consumer space. Yet we can’t help but see the move as severed misguided. HP is the largest seller of PCs in the world and has a deeper supply chain and global distribution network than anyone else in the consumer electronics industry. Further, Apothekar’s inspiration, IBM, has always focused on business first, consumer second, and thus saw the PC business as a diversion from its core, but HP’s history is much more focused on consumers. HP’s newer PCs, most visibly the Envy line of laptops that resulted from the VoodooPC acquisition, show that the company can successfully compete against Apple in premium computers. The TouchPad tablet has not been an instant success, but the webOS software has received broad acclaim, and who knows– greater investment in hardware and developer engagement, as HP promised a year ago, could have resulted in a viable mobile competitor. HP’s current leadership seems to have a fundamental impatience that is incompatible with success in the consumer space. Even before this announcement, HP displayed a lack of strategic clarity with webOS, alienating Microsoft by announcing it’d ship webOS on all its Windows PCs and then backpedaling on the decision. 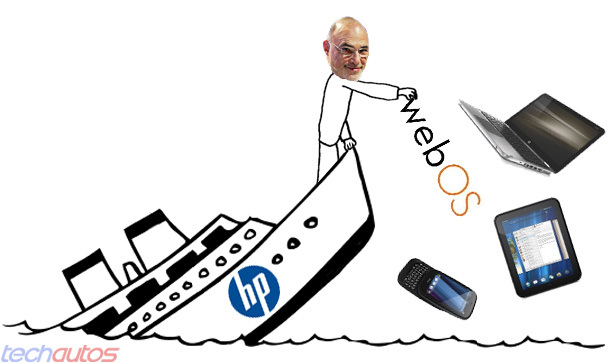 While Apothekar thinks the move to abandon webOS will help HP in the enterprise space, credibility is key in that business, and how credible is a company that gave up, after just one year, on a $1.2 billion acquisition whose technology was supposedly critical to the company’s future? Further, the move seems to all but ignore the recent trend of consumerization– even enterprise buying decisions are now being influenced by consumer devices. Perhaps HP has something magical up its sleeve, but we’re going to join the bandwagon of “#hpfail” posters on Twitter and say that giving up on the entire consumer computing business — PCs, smartphones, tablets, and peripherals (except printers) — would be a sad and serious misstep for one of the world’s strongest consumer electronics brands. Update: Rahul Sood, founder of VoodooPC, has some interesting thoughts on HP’s move here and here. 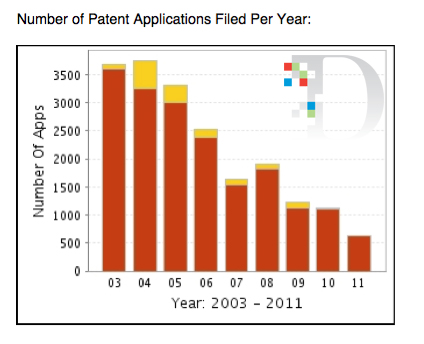 Previous story Google to acquire Motorola Mobility for $12.5 billion- but is it really patents they’re after?